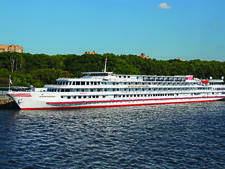 Vodohod has been operating cruises, as a standalone company, along the Volga River and other Russian waterways since 2004. Before then, the company worked in partnership with Volga Flot Tours. Vodohod is led by Managing Director Alexander Trofimov. 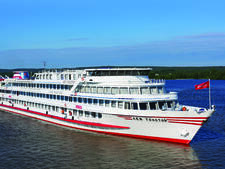 Vodohod's more than 20 Motorships -- 12 of them catering exclusively to the international market -- represent one of the largest river cruising fleets in Russia. Each of the line's 12 river cruise ships that are geared toward international passengers has four decks and features all-outside, air-conditioned cabins with en suite bathrooms. The vessels accommodate between 160 and 296 passengers and offer one or two dining venues onboard, specializing in Russian and European cuisine. The Vodohod Motorships cruise along waterways that connect some of Russia's most historic cities. 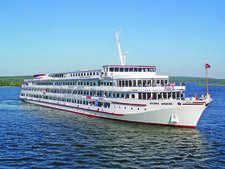 The seven-, 10-, 11- and 13-night cruises onboard Vodohod's river ships take passengers down the Volga, Don, Kama and Moscow Rivers and also through the Volga-Don Canal and the Volga-Baltic waterways. Along the way, the ships put into port and offer excursions in iconic Russian cities, such as Moscow and Saint Petersburg. Entertainment onboard Vodohod river cruises focuses on introducing passengers to the Russian culture and history. There are live traditional folk shows, performed by local singers and dancers, as well as classical music concerts. Russian language, dance and singing classes give passengers the chance to immerse themselves in the sights, sounds and rhythms of Russia, as they float along its rivers. Passengers can also attend lectures on Russian history and contemporary life. And, the vodka tasting class offers a whole other way to experience the true flavor of Russia. 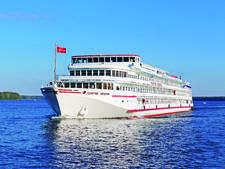 Dining onboard Vodohod's river cruise ships features European cuisine along with traditional Russian fare. Breakfast is a buffet, while lunch is a hearty meal, usually highlighted by at least one Russian soup, such as the cabbage soup called “schi” (which was a particular favorite of Tsar Ivan the Terrible). Dinners tend to be colorful events. There are often themed nights where passengers can sample food from other areas, such as Ukrainian or Slavic specialties, all served by waiters and waitresses decked out in the native costume of each region. The culminating feast – the Captain's dinner – tends to be a formal and extravagant affair where the chefs pull out all the stops to showcase the culinary highpoints of Russian cooking. Passengers onboard Vodohod river cruises tend to be mostly English speakers – hailing predominantly from the United States, Australia and the UK. There is also a small percentage of passengers that come from Asia. Vodohod markets itself as a multinational cruise line and caters to passengers from around the world. 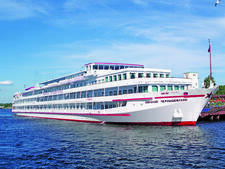 Vodohod has one of the largest river cruise ship fleets in the Russian marketplace, with 12 vessels accommodating international passengers and about a dozen more accommodating the internal Russian market -- all named after famous Russian poets, writers, landmarks and politicians. Each of the Vodohod Motorships has been specifically constructed for river cruising. For instance, all of the vessels can pass through the canals of Moscow, allowing passengers to disembark and re-embark with ease, and giving greater access to the sights and landmarks of the cities. The Vodohod fleet consists of Austrian- and German-made, four-deck river cruise ships that offer a variety of cabin types, all of which are outside-facing and feature ensuite bathrooms and air conditioning. The entire Vodohod fleet underwent an extensive refurbishment in the past few years.